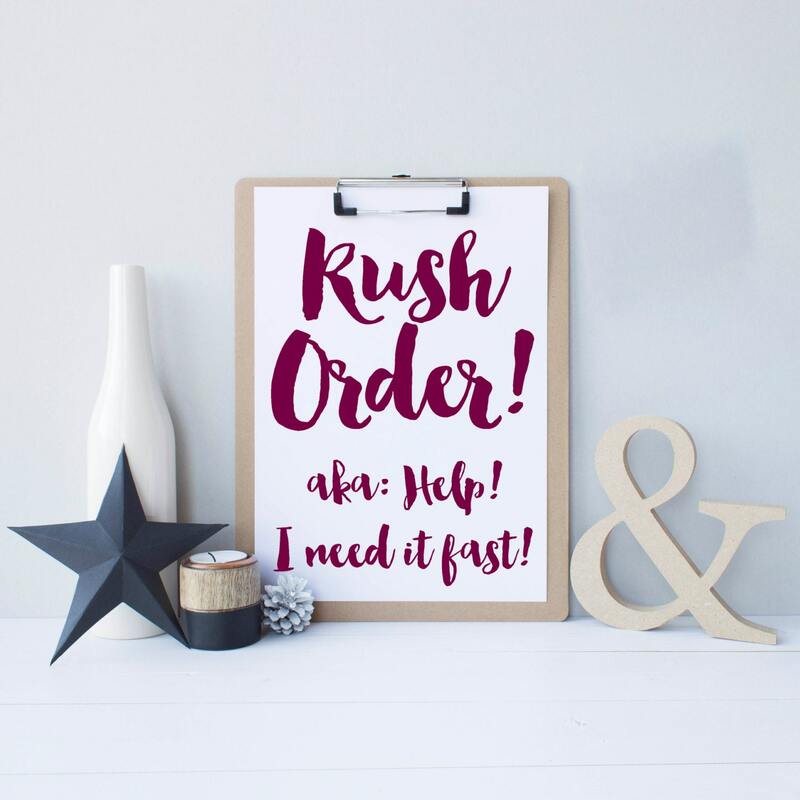 Shauna Smith Designs - RUSH ORDER! Help Shauna! I need it fast!! Can't wait 3-5 days for your order? No problem! Add my "Rush Order" into your cart and I'll bump you to the head of the line and turn your artwork around ASAP Guaranteed in less than 24 hours from the time of your order, but generally done much quicker than that. Please include the "Rush Order" WITH the artwork you are purchasing, If you are purchasing more than one piece or artwork, you will need to purchase a "Rush Order" FOR EACH PIECE OF ARTWORK ORDERED. (Ordering 3 pieces? Add three Rush Orders if you want all of them done at the same time. If you are ordering any CUSTOM TEAM artwork with numerous prints for teammates, please contact me with your rush request. That artwork takes quite a bit of time and can't always be done quickly. Please let me know about any specific deadline that you might have for your artwork in the notes to the seller portion of your order (e.g. "I need this to be printed by 11:00 a.m. tomorrow for an event at 2:30 in the afternoon etc.) so that I can be sure to try and make that happen. PLEASE NOTE: This item does not include any artwork! Artwork must be purchased additionally! Beautiful artwork! Delivered as promised! Thank you! Thank you for such speedy service!